1367 – Richard II of England, was born (d. 1400). 1412 Joan of Arc, Roman Catholic Saint and national heroine of France, was born – legendary date, some scholars think it was January 7- (d. 1431). 1494 The first Mass in the New World was celebrated at La Isabela, Hispaniola. 1540 King Henry VIII of England married Anne of Cleves. 1714 Percivall Pott, English physician, was born. He was one of the founders of orthopedy, and the first scientist to demonstrate that a cancer may be caused by an environmental carcinogen (d. 1788). 1721 The Committee of Inquiry on the South Sea Bubble published its findings. 1781 In the Battle of Jersey, the British defeated the last attempt by France to invade Jersey. 1838 Samuel Morse first successfully tested the electrical telegraph. 1878 Carl Sandburg, American poet and historian, was born (d. 1967). 1883 Khalil Gibran, Lebanese writer, was born (d. 1931). 1893 The Washington National Cathedral was chartered by Congress. 1907 Maria Montessori opened her first school and daycare centre for working class children in Rome. 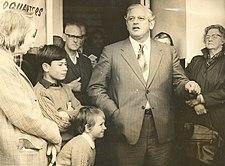 1923 Norman Kirk, New Zealander Prime Minister, was born (d. 1974). 1929 – Mother Teresa arrived in Calcutta to begin a her work amongst India’s poorest people. 1930The first diesel-engined automobile trip was completed (from Indianapolis, Indiana, to New York City). 1931 Thomas Edison submitted his last patent application. 1934 Harry M. Miller, New Zealand-born Australian entrepreneur, was born. 1936 The Supreme Court of the United States ruled that the 1933Agricultural Adjustment Act was unconstitutional in the case United States v. Butler et al. 1941 President Franklin Delano Roosevelt delivered his Four Freedoms Speech in the State of the Union Address. 1942 Pan American Airlines became the first commercial airline to schedule a flight around the world. 1946 Syd Barrett, English guitarist, singer and songwriter Pink Floyd, was born (d. 2006). 1953 Godfrey Bowen set a world record by shearing 456 full-wool ewes in nine hours. 1953 Malcolm Young, Scottish-born Australian guitarist (AC/DC), was born. 1955 Rowan Atkinson, English comedian and actor, was born. 1959 Kapil Dev, Indian cricketer, was born. 1960 Nigella Lawson, English chef and writer, was born. 1964 Mark O’Toole, English bass guitarist (Frankie Goes to Hollywood), was born. 1965 Bjorn Lomborg, Danish mathematician, environmentalist and author, was born. 1974 In response to the 1973 energy crisis, daylight saving time commenced nearly four months early in the United States. 1978 The Crown of St. Stephen (also known as the Holy Crown of Hungary) ws returned to Hungary from the United States, where it was held after World War II. 1995 A chemical fire in an apartment complex in Manila, Philippines, led to the discovery of plans for Project Bojinka, a mass-terrorist attack. 2010 – The Ady Gil, a ship owned by Sea Shepherd, was sunk during a skirmish with the Japanese Whaling Fleet’s Shōnan Maru. 2012 – 26 people are killed and 63 wounded when a suicide bomber blew himself up at a police station in Damascus. 1412 Joan of Arc, Roman Catholic Saint and national heroine of France, was born -legendary date, some scholars think it was January 7- (d. 1431). 1936 The Supreme Court of the United States ruled that the 1933 Agricultural Adjustment Act was unconstitutional in the case United States v. Butler et al. 1907 Maria Montessori opened her first school and daycare center for working class children in Rome.